The 12th Asia Pacific Roundtable for Sustainable Consumption and Production (12th APRSCP) will be held at the Apsara Angkor Hotel in Siem Reap, Cambodia on 12 and 13 July 2016 with back-to-back events on 14 July 2016. The meeting is organized by the Asia Pacific Roundtable on Sustainable Consumption and Production (APRSCP) and is hosted by the Ministry of Environment, Kingdom of Cambodia, in partnership with the International Institute for Scientific Research (IISR). 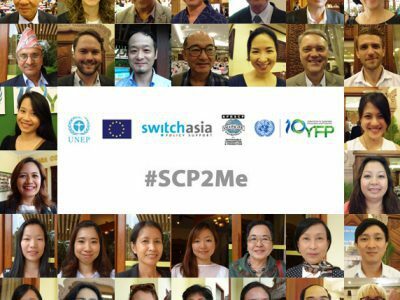 The 12th APRSCP is supported by the United Nations Environment Programme (UNEP) through the SWITCH-Asia Regional Policy Support Component (RPSC) of the European Union (EU) and by other partners including EU SWITCHAsia Network Facility, the Network on Resource Efficiency and Cleaner Production (RECPnet) with the United Nations Industrial Development Organization (UNIDO) and the China National Cleaner Production Center (CNCPC). Read more here.